A test in a casino found that people gambled 45 percent more money in a slot machine when a pleasant scent was introduced into the area. The second thing they did was modify the home espresso-making system to release more aroma. This is brilliant and, I can testify, often overlooked strategy. A classical sound track caused a 233 percent jump in bank goer’s perception of the bank as “inspiring”, compared with their perception when no music was playing. Researchers found that scent enhances a product’s distinctiveness. They had subjects evaluate pencils that were unscented, had a common scent (pine), or had an uncommon scent (tea tree). They found that the subjects remembered the scented pencils to a much higher degree than the unscented pencils, and this differential increased over time. The researchers found that guys studying bikini-clad girls make worse decisions when presented with a monetary offer. To begin with, this effect seems to be a short-term one that would be most effective at the point of purchase. The ideal selling situation, no doubt, would be to have bikini-clad babe selling to the guys in person. Researchers at Northwestern University and the University of California, Berkeley, led by Hal Ersner-Hershfield found that having subjects visualize historical alternatives made them more patriotic. Similarly, reflecting on the shaky origins of a company made its employees more positive about the firm. But, if you avoid the ham-fisted approach and are subtle in introducing alternative scenarios, you will produce the desired positive boost in loyalty and emotion without alienating the other person. Assuming your product or service is purchased frequently enough, offer your customers a loyalty program. They do work. In addition, keep your customers engaged by letting them monitor their progress and, if possible, reminding them about the program if they haven’t bought in a while. Beyond the loyalty effect, merely exposing customers to point values at the time of purchase can amplify the effectiveness of the loyalty program. Want to encourage sampling of a new produce or drive upgrades? Try something along the lines of, “1000 extra Rewards Points with every purchase”. Note that bigger numbers may seem more important to consumers, so a little pint inflation could be a good thing. In Blink, Malcom Galdwell notes that most people who suffer an injury due to doctor negligence don’t use. Based on extensive interviews of injured patients, it turns out that patients who sue have often felt like they were rushed, ignored, or otherwise treated poorly by their physician. This belief, in turn, is based on the quantity of time spent and the quality of that interactions. Those seated in hard chairs judged their negotiating partner to be less emotional. Most significantly, the “buyers” in soft chairs increased their offer by nearly 40 percent more than those in hard chairs. In short, not only did a hard chair change the buyers’ perception of their negotiating partners, it made them harder bargainers. If you want to convey a positive message, use real numbers, not percentages. It turns out that the way companies respond to bad online reviews makes a difference too. A Harris survey showed that 18 percent of those who posted a negative review of the merchant and received a reply ultimately became loyal customers and bought more. In addition, nearly 70 percent of those consumers receiving replies reversed the negative content either by deleting the bad review or posting a second positive one. Peck and Shu found that touching an object immediately improved both the level of perceived ownership and positive emotion. It turns out that reciprocity strategy can work better; give visitors the info they want and then ask for their information. Italian researchers found that twice as many visitors gave up their contact data if they were able to access the information first. Brainfluence is such a great book, it’s nearly unbelievable. 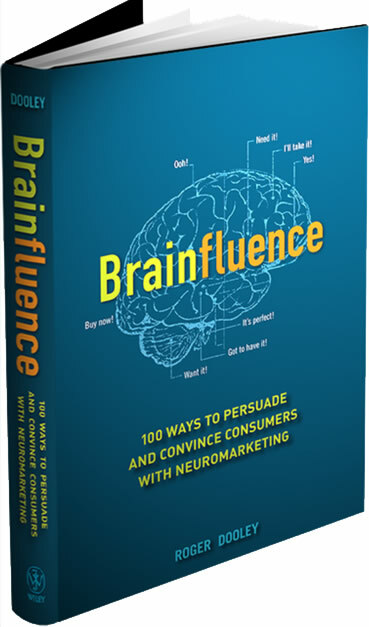 I would recommend this book to everyone who’s interested in marketing, customer service or just plain psychology. It’s a nice read, the chapters are short and backed by data. Awesome book & recommendation! 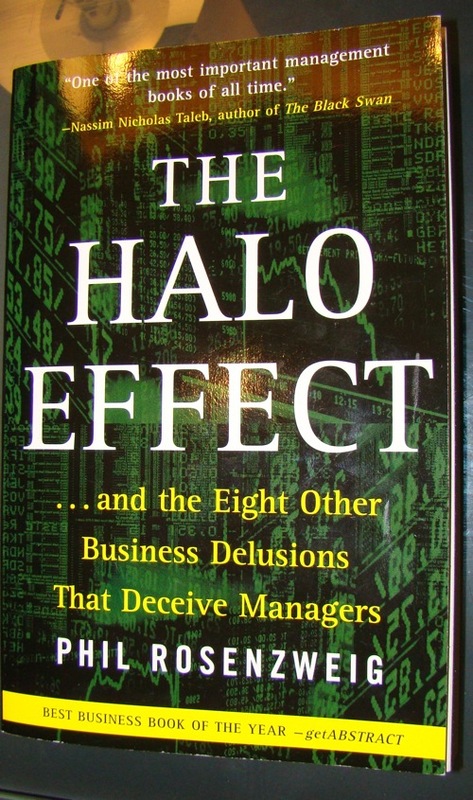 The Halo Effect talks about business (research) fallacies. The book is extremely insightful and if you like to learn more about fallacies in business, this book is the right for you. The book starts to talk about management failures and especially practicing core competencies. Often the definition of a core competence is rather fuzzy it isn’t clear where they begin and end. However, in retrospective it can be rather easily defined as “core competence is where success was” – this fallacy can easily lead to decisions which are more motivated by randomness than by action. A rather interesting observation is that baseball managers, industry analyst, etc. often say that you need to be both: e.g. be innovate and be conservative – saying this is like saying nothing. It doesn’t matter. And it isn’t the only problem. People don’t like randomness – however, a lot of things are influenced by randomness. One prominent example are stock market movements. Rosenzweig attributes success of companies, like Wal-Mart, in their scientific rigor which doesn’t longer depends on gut feeling and more on data. Wal-Mart was among the first retailers that studyed pattern in consumption and actually applied that knowledge to their operations. The same methodology is used by successful internet companies, like amazon or eBay. There were some studies in the military where generals rated soldiers subjectively – often they looked if the men where handsome, had a good posture or polished their shoes nicely. However, these weren’t indicators for being a superior soldiers. It was just the Halo effect: thinking that being good in one thing means that you are great in an other (Thorndike). The same fallacy was told in Moneyball. Once people — whether outside observers or participants — believe the outcome is good, they tend to make positive attributions about the decision process; and when they believe the outcome is poor, they tend to make negative attributes. Why? Because it’s hard to know in objective terms exactly what constitutes good communication or optimal cohesion or appropriate role clarity, so people tend to make attributions based on other data they believe are reliable. One recent study, by Benjamin Schneider and colleagues at the University of Maryland, used a longitudinal design to example the question of employee satisfaction and company performance to try to find out which one causes which. […] Financial performance, measured by return on assets and earnings per share, has a more powerful effect on employee satisfaction than the reverse. Anita McGahan at Boston University and Michael Porter at HBS set out to determine how much of a business unit’s profits can be explained by the industry in which it competes, by the corporation it belongs to, and by the way it is managed. This last category, which they called “segment-specific effects,” covers just about everything we’ve talked about in this chapter: a company’s customer orientation, its culture, its human resource systems, social responsibility, and so forth. […] McGahan and Porter found that “segment-specific effects” explained about 32 percent of a business unit’s performance. 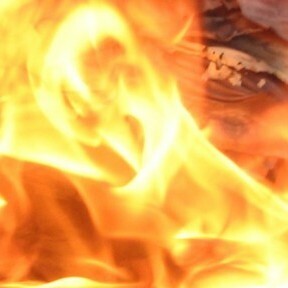 The rest was due to industry effects or corporate effects or was simply unexplained. Peters and Waterman studied a sample made up entirely of outstanding companies. The scientific term for this is sample selection based on the dependent variable — that is, based on outcomes. It’s a classic error. Foster and Kaplan wrote: “The last several decades we have celebrated big corporate survivors, praising their ‘excellence’, their longevity, their ability to last.” But companies that last longest usually aren’t the best performers. Enduring greatness is neither very likely, nor, when we find it, does it tend to be associated with high performance. Add together these three factors – uncertain customer demand, unpredictable competitors, and changing technology – and it becomes clear why strategic choice is inherently risky. Successful companies aren’t “just lucky” – high performance is not purely random – but good fortune does play a role, and sometimes a pivotal one. It was a bit long but insightful. I would recommend the book to everybody who is interested in business research or is active in management or as a consultant. Recommendation!